A Bulgarian player who tried to hit a referee with a bottle after being sent off has been banned for 10 games by his country's football association. Lokomotiv Plovdiv defender Diyan Moldovanov, 29, confronted referee Stanislav Stavrov after the final whistle. 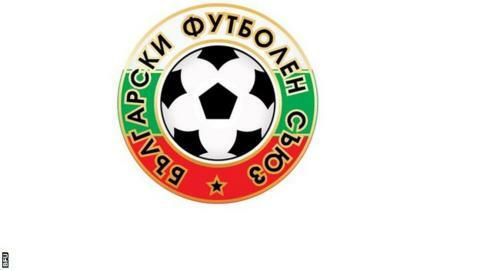 The Bulgarian Football Union (BFU) also fined the player £3,200 (8,000 levs). The incident occurred in his team's 1-1 league draw with Cherno More Varna on Saturday. Moldovanov had been substituted earlier but ran onto the field at the end of the game to confront the official. According to Reuters news agency, he was shown a red card but then threw a bottle at the referee and verbally abused him. Lokomotiv are to appeal against the ban.